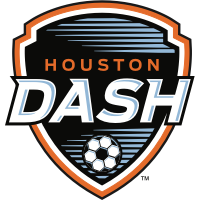 The Washington Spirit fell to the Houston Dash on Friday night in their final road match of the 2018 NWSL season. The Washington Spirit fell 2-0 to Seattle Reign FC on the road Sunday night, conceding a goal in each half while being shut out for a third straight match. The Washington Spirit has waived midfielder Maddie Huster. The Washington Spirit fell to the Houston Dash on Sunday morning at the Maryland SoccerPlex by a final score of 1-0. Washington Spirit midfielder Rose Lavelle has been named to Jill Ellis’ 25-player U.S. Women’s National Team training camp roster ahead of the 2018 Tournament of Nations. The Washington Spirit play their second of three straight road matches on Saturday night against the Orlando Pride. The Washington Spirit fell 1-0 to the Orlando Pride in front of 4,005 fans at the Maryland SoccerPlex on Saturday night. 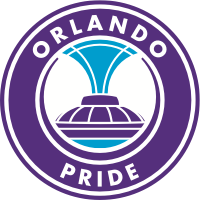 Orlando struck early in the 11th minute for the contest’s only goal. The Washington Spirit closes out a two-game home stand Saturday night as the Orlando Pride visits the Maryland SoccerPlex. The Washington Spirit has waived midfielder Morgan Proffitt. The Washington Spirit begins a two-game homestand on Saturday night against Seattle Reign FC at the Maryland SoccerPlex. Kickoff is set for 7:00 p.m. with a live stream available on go90. The Washington Spirit fell to the visiting Portland Thorns 1-0 Saturday night in front of 3,284 fans at the Maryland SoccerPlex. The Washington Spirit’s three-week hiatus between home games will come to an end on Saturday night when reigning NWSL champion Portland Thorns FC visits the Maryland SoccerPlex. The Washington Spirit fell to the North Carolina Courage 1-0 on the road Saturday evening in front of 5,866 fans at Sahlen’s Stadium at WakeMed Soccer Park. 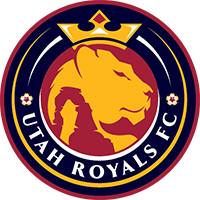 The Washington Spirit will visit NWSL newcomer Utah Royals FC on Saturday night for the first ever meeting between the clubs. 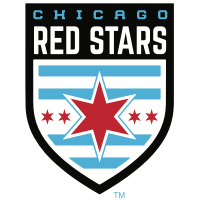 The Washington Spirit returns home to the Maryland SoccerPlex on Saturday night for the first of three matchups this season against the second place Chicago Red Stars. 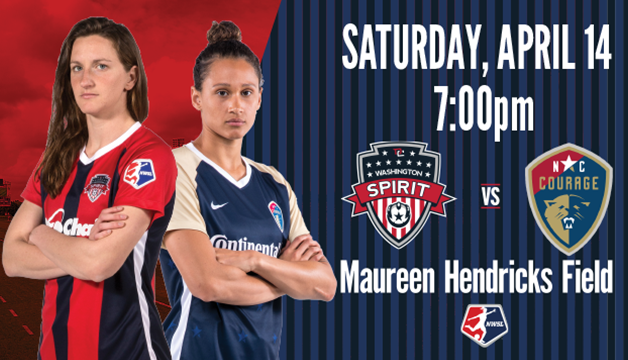 The Washington Spirit will host reigning National Women’s Soccer League Champion Portland Thorns FC in the first ever women’s professional soccer game at Audi Field - D.C. United’s brand new state-of-the-art stadium in downtown Washington, D.C. - on Saturday, August 25 at 7 p.m. ET. Just over five weeks after D.C. United debuts the new venue with their first MLS match on July 14, the Spirit and Thorns will compete in the first women’s professional soccer game played in the District of Columbia since the Washington Freedom’s final showing at RFK Stadium in 2010. The matchup at Audi Field will be the penultimate game of the 2018 NWSL regular season for both Washington and Portland, and could hold major playoff implications. Audi Field, the first soccer specific stadium to be constructed in the District, will feature a total capacity of 20,000 seats, 1,500 club seats, 31 luxury suites and a bike valet along with 500,000 total square feet of mixed-use retail and residential space on site. Along with being home to D.C. United - the most decorated franchise in U.S. soccer history and D.C.’s most championed professional team - Audi Field will also host a variety of other sporting and cultural events. The Spirit and Thorns will be among the first to take center stage at D.C.’s newest landmark, showcasing the NWSL in the nation’s capital. Washington Spirit and D.C. United 2018 Season Ticket Holders will have first selection for tickets to the game, starting on Tuesday, May 1. The game is included as part of the 12-game home schedule for Spirit Season Ticket Holders. D.C. United Season Ticket Holders will also be a part of the exclusive Season Ticket Holder Presale, which runs from May 1-6. 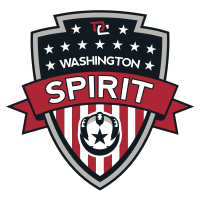 Additional early access to tickets will be available from May 7-13, as the presale extends to the following groups: Fans who have purchased at least one single game ticket to a 2018 Washington Spirit home game, members of Washington Spirit Youth Club Partners and Community Partners, all official Spirit and D.C. United supporters groups, and large groups of 25 or more. Current Audi Field Suite Holders will have until May 15 to book their suites for the game, with any remaining offered for sale thereafter through the Spirit ticket office. Everyone taking advantage of the two presale periods will have access to tickets for $10 off the public sale prices. Tickets for the game will go on sale to the general public starting on Monday, May 14. Fans interested in purchasing Youth Group Experiences or renting Audi Field Suites should contact the Washington Spirit sales office at: 301-591-0927. The Washington Spirit will make their first of two visits to Providence Park this season on Friday night to face 2017 NWSL champion Portland Thorns FC. Saturday’s game will feature the No. 1 and No. 3 teams in the National Women’s Soccer League standings heading into the third week of play. Washington is coming off a 2-0 shutout of the Orlando Pride in its home opener on March 31, while first place North Carolina is the only team in the NWSL that has not allowed a goal through its first two games. U.S. international forward Ashley Hatch, who earned Rookie of the Year honors in 2017 as a member of the Courage, netted her first goal as a member of the Spirit in the home opening victory, powering home an 88th minute strike to put the game out of reach. Another USA forward, Mallory Pugh, claimed NWSL Player of the Week honors after netting the game-winner against Orlando on a breakaway strike through the legs of Pride goalkeeper Ashlyn Harris. Pugh, Hatch and the rest of the Spirit attack will seek to become the first offense to break through with a goal against the tough Carolina back line. 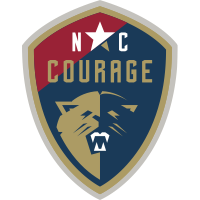 The Courage are coming off back-to-back 1-0 wins in their first two games, against Portland Thorns FC and Sky Blue FC. The Washington attack has posted the second-most shots on goal through the first two weeks with 12, while the Courage defense - led by March 2018 NWSL Team of the Month selection Jaelene Hinkle - has only allowed one shot on goal to reach goalkeeper Sabrina D’Angelo. On the defensive side, Spirit goalkeeper Aubrey Bledsoe enters the game leading the league in saves with 14 through her first two appearances with the club. Bledsoe has also the third-best save percentage at 88%. Spirit captain Estelle Johnson is anchoring the back line once again this season, leading the league in clearances while also succeeded on all of her slide tackle attempts through the first two games. 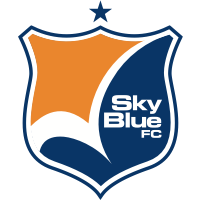 Bledsoe, Johnson and the rest of Washington’s defensive unit will be tasked with slowing down a Courage attack featuring U.S. internationals Crystal Dunn and Lynn Williams, along with Jessica McDonald, who scored a stoppage time game-winner in their last game against Sky Blue FC. 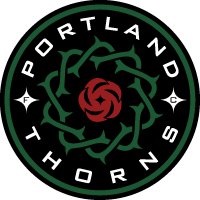 Following Saturday’s home game, the Spirit will travel to face Portland Thorns FC for a Friday night match on April 20 at Providence Park.